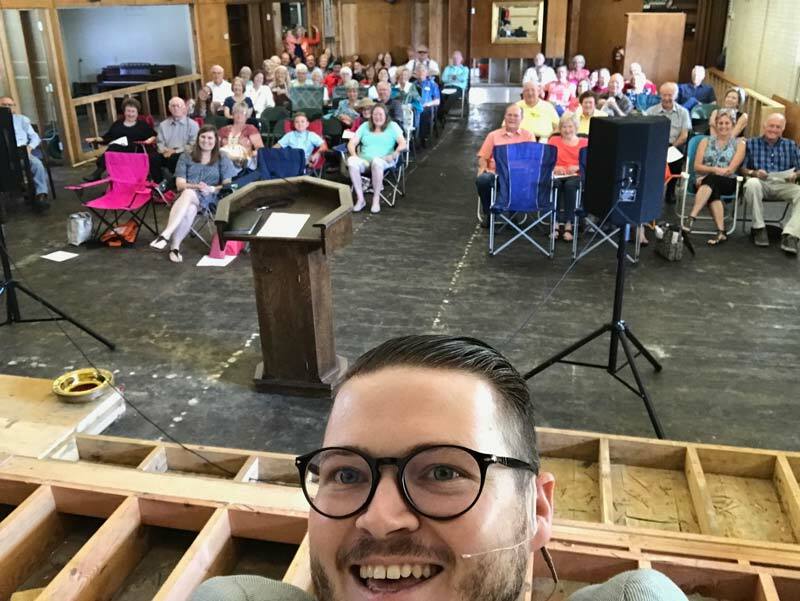 Ryan Chandler’s first pastorate began like few – if any – others. To begin with, it began before it started. Chandler moved to Orange Aug. 26, more than two weeks before he was to become pastor of Trinity Baptist Church. Three days later, Hurricane Harvey dumped more than 20 inches of rain on the city, flooding homes and destroying cars. The pastor-to-be and his family evacuated to San Antonio. He returned to a city largely without power or water Sept. 3. Chandler met a church member at the congregation’s facilities. At least six inches of water stood throughout the buildings with as much as 12 inches in some places. The congregation did not have flood insurance but had $50,000 in an emergency savings account. It sought to find a company would rebuild the facilities, but couldn’t find one in the wake of the storm. Unsure of what to do, Chandler called Bruce Webb, pastor of The Woodlands First Baptist Church, where Chandler had previously served for seven years. The church sent a team to start removing carpet and sheetrock in the buildings. The next Monday, Webb called to tell him that a Texas Baptist Men team from First Baptist Church in Athens was coming to the area to help if Chandler could find them a place to stay. Chandler walked into First Baptist Church in Orange and introduced himself to the first minister he met, John Bickham, the congregation’s minister of worship. Bickham happily invited the team to stay at the church. The team from First Baptist Church in Athens removed half of the ruined carpet and some of the walls. Chandler’s brother, Ross, pastor of First Baptist Church in Marble Falls, came with another team shortly afterward and finished the demolition. “I don’t know what they would have done and I don’t know what I would have done if we hadn’t had the best Texas family. I mean the best,” Ryan Chandler said. Trinity’s first worship service after the hurricane was Sept. 10, also its pastor’s first official day. By then, he’d worked alongside the members, prayed with them, even cried with them. They loved him and he loved them deeply. They brought lawn chairs to sit in the sanctuary. After the service, they took them outside and had a picnic on the lawn. The service was followed by unexpected blessings. The Woodlands First Baptist Church collected a special offering for a church affected by the storm and was donating it to Trinity. Pecan Grove Baptist Church outside Gatesville did likewise. First Baptist Bryan volunteered to put in new sheetrock. “Because we’ve had all this help from all these churches, we’re going to remodel while we have all the walls down,” Chandler said. “We’re going to expand our worship space by about 60 people. We’re also going to expand three more classrooms. 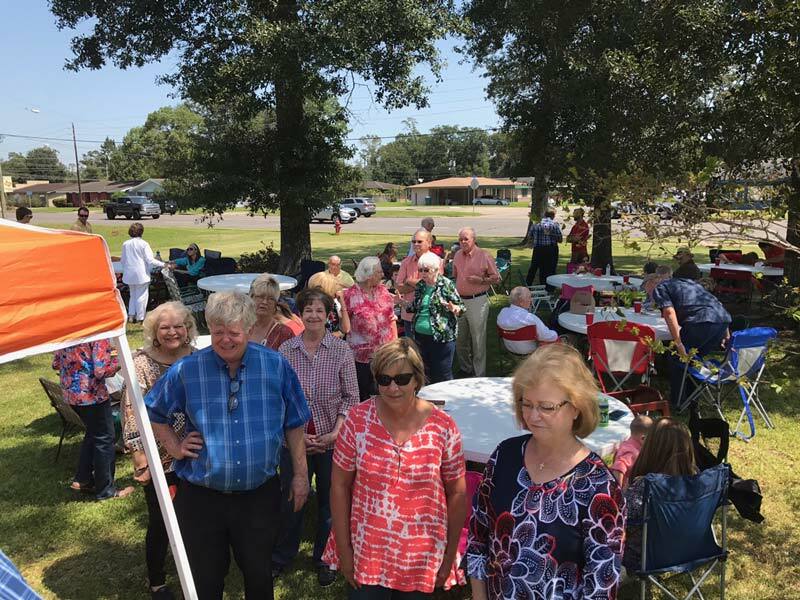 Through Texas Baptists’ Church2Church Partnerships, congregations can help congregations affected by Hurricane Harvey like Trinity Baptist Church was helped by the Texas Baptists family. For more information, click here.